Adding new users to your company's HubLink account is very easy. We've outlined the process below using a fictitious company called XYZ Marine. The process is identical for boat owners and operators. As the first user to set up a company account, John Doe is now XYZ marine's primary administrator or "Super Admin." In addition to vessel- and charter-related tasks, John can remove, promote, and demote other users as necessary by clicking "Users" in the HubLink navigation menu. We'll explore this in more detail below. When setting up your account, please be sure to enter XYZ Marine in the "Company" field and select "I'm a Vessel Owner" at the bottom of the screen. If XYZ were an offshore platform operator, John would ask Jane to select "I'm an Operator" instead. After Jane creates her account, John will see a notification asking him to approve her as a company user. John can do so by selecting "Users" from the HubLink navigation menu and shifting Jane Jones' toggle to "Active." Jane is now free to use HubLink on XYZ Marine's behalf. If John wants to promote Jane to an admin, he can just click "Promote." If, at a later date he wants to demote, remove, or deactivate her, John can do so using the relevant buttons. 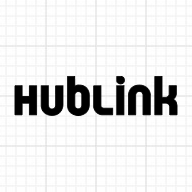 HubLink has three different user roles: Super Admin, Admin, and User. Except for the first company user (John Doe, in the example above), everyone joins HubLink as an inactive user. Please note, an in-app billing management feature ("Manage Company Billing" below) is currently in development, and "Manage Company Account" includes all core HubLink features. These would include updating vessel statuses, searching for vessels, sending messages and charter offers, &c.